Tips to Prevent a Heart Attack at any Age? Cardiovascular diseases are one of the leading causes of death among people worldwide. Cardiovascular diseases include a number of diseases like coronary artery disease, high blood pressure, arrhythmia, heart attacks etc. Though there are factors leading to cardiovascular diseases which are beyond control (like hereditary factors, age, race and ethnicity, previous history of stroke etc. 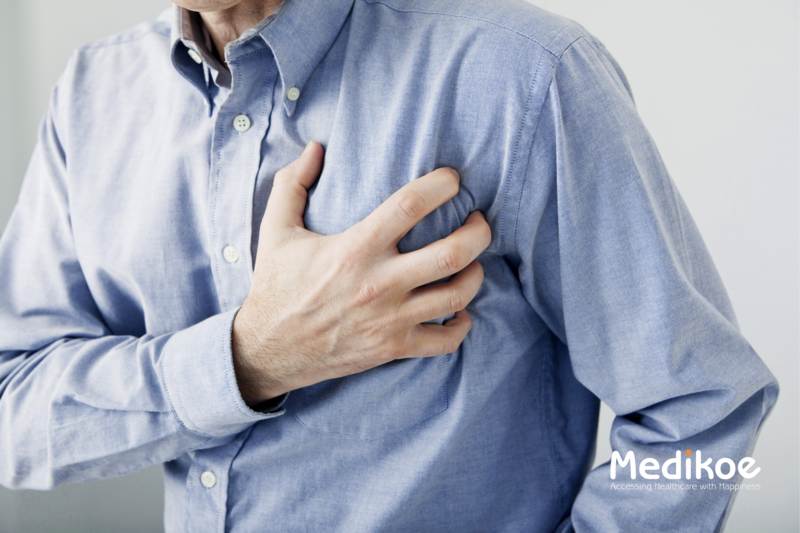 ), there are various factors which can be controlled to minimize the risk of heart attacks. What can you do to lower the risk? Age hardly matters when it comes to taking care of your heart. There are some simple steps to keep your heart healthy and your age doesn’t matter at all. Choose a healthy eating plan as the food you eat can decrease your risk of heart disease and stroke. Eat foods which are low in saturated fat, trans fat, and sodium. Eat lot of fruits, vegetables, fiber-rich whole grains, fish, nuts, legumes, seeds and try eating some meals without meat. Be physically active: You can slowly work up to at least 2 1/2 hours of moderate-intensity aerobic physical activity every week. Concern a doctor about your diet, lifestyle and checking your blood pressure, cholesterol, heart rate, blood sugar, and body mass index. Do check your blood sugar if you are pregnant, overweight or have diabetes. Do exercise daily, it is a lot easier to be active and stay active if you start at a young age. Spend less time on couch and more time on the move. Ask your kids to do the same. Know your family history, your relative may have a heart disease which increases risk. Long-term stress causes an increase in heart rate and blood pressure that may damage the artery walls. Electrocardiogram (ECG): records electrical signals and helps study the structure and the rhythm of the heart. Echo-cardiogram: it is an ultrasound of the chest which also shows detailed images of the heart’s structure and functioning. Cardiac computerized tomography (CT) scan. Cardiac magnetic resonance imaging (MRI) scan. Depending on the severity of the condition, your doctor may prescribe certain medications in addition to lifestyle changes. If the medications are not sufficient, the doctor may prescribe certain medical procedures or surgeries.